We are really excited about our new range of Birthday Cake Toppers, now available from our Cake Decorating Supplies Shop, Knowle, Solihull. From Edible sugar pipng perfect to simply add on to your birthday cake or birthday cake cupcakes to our fantastic range of number birthday cake candles available in gold, silver pink and blue. We have everything you need to create magical children’s birthday cakes from pirates to rainbow and unicorn birthday cakes. We also have a great range of cupcake cases to suite your celebration design. 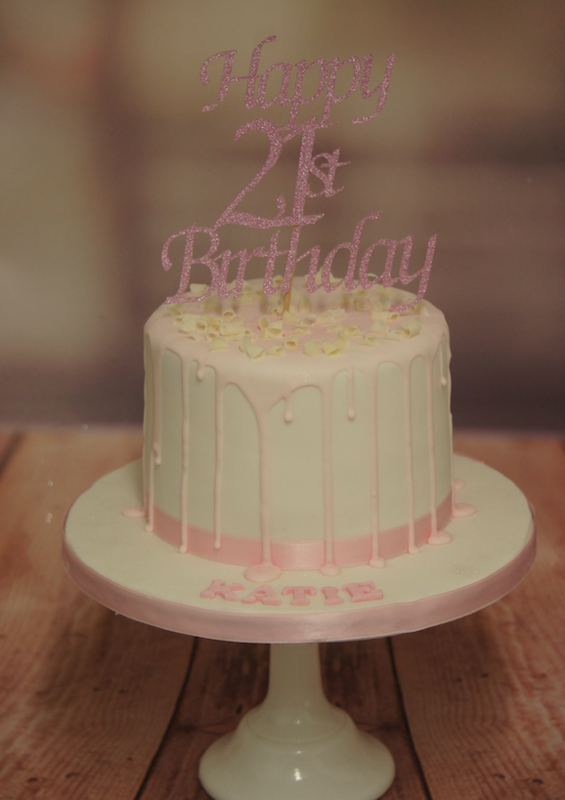 Our personalised glitter birthday cake toppers are specially made just for you. Simply tell us your birthday message and we will create the perfect glitter cake topper. We can also create your perfect wedding cake topper From Mr & Mrs to names and love heart shapes, all available in a wide range of glitter card and we will do the rest! Wedding Cake Cupcakes & Wedding Favours Edible Photoprinting. 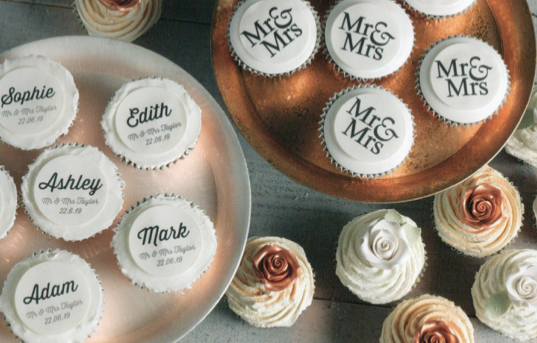 We create fantastic personalised wedding cake cupcakes and wedding favours. We can create a great range of individually made wedding cake toppers From Mr & Mrs cupcake edible cake toppers to name place favours. So let us create your perfect edible personalised wedding cake cupcakes or name place favours. You can choose from a hugh range of delicious cake and biscuit flavours all freshly baked in our very own ‘Cakery”. If you would like us to design your perfect wedding cake or wedding cupcakes, please contact us. Our delicious Vegan birthday Cakes are now available in 12 mouthwatering flavours. Choose from our fantastic range of Vegan Birthday cake and celebration cake designs or let us create your bespoked personalised Vegan birthday cake or vegan celebration cake, just for you. 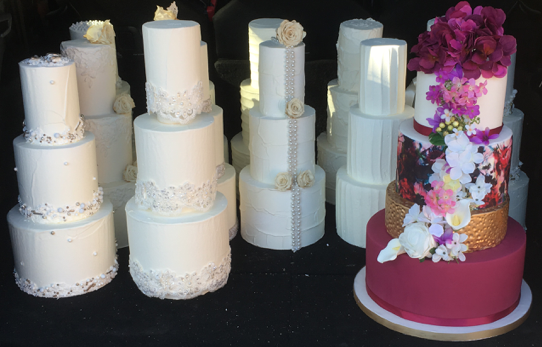 We have just launched our new Vegan Wedding Cake & Birthday Cake website, where you can find out all about our vegan birthday cakes and vegan wedding cakes are ‘Made Just For You’. These personalised glitter cake toppers can be personalised up to 3 words to really add that special message to your stunning celebration cake..
Our new glitter birthday cake toppers can be made up to 3 words personalised by you. From Happy Birthday to retirement and baby shower messages, let us make your perfect glitter cake topper. 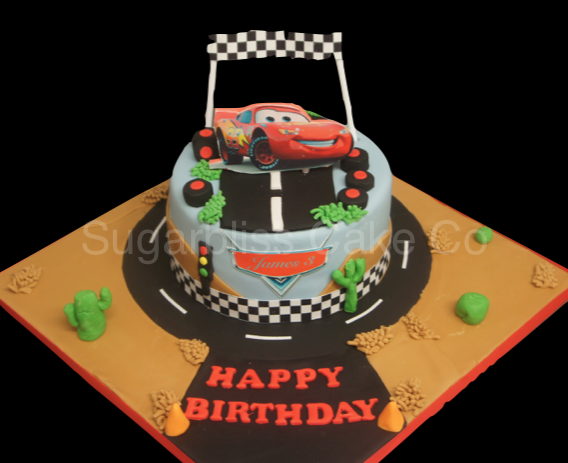 Simply contact us or pop in to our cake decorating shop, Solihull. Order in morning and ready for you to collect in the afternoon. Great prices £4.49 each.